Last week I did a guest blog on Morningland Dairy for Kimberly Hartke and that went absolutely viral! It has nearly 19,000 Facebook “likes” and 145,000 views. Pretty amazing, and I am so thankful that people are learning about this story. There is a new Uncheese Party site where people can donate to make a stand for freedom of food choice and help keep Morningland in business. Nah, We’ve got Regulatory Authority! Morningland Dairy is the latest attempt by the FDA to fulfill the Healthy People 2020 objective to kill raw dairy. 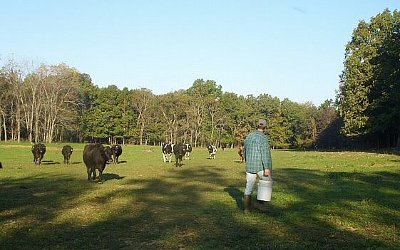 Morningland is owned by Joseph and Denise Dixon, who operate the cheese plant and make raw cheese from cows kept right on the property and managed by one of their eldest daughters. They have 12 children, 4 who still live at home, and they have been actively engaged in real food for decades. They were caught up in the Rawesome Raid dragnet and many believe the questionable California Dept of Food and Agriculture tests on their cheese are the legal justification for the multi-agency guns drawn raid at Rawesome.